DekTec's classic and iconic portable ASI adapter for USB bus, ideally suited for use with a laptop, but convenient with a standard PC or server too. More than ten years on the market and still the essential tool for every DTV engineer! 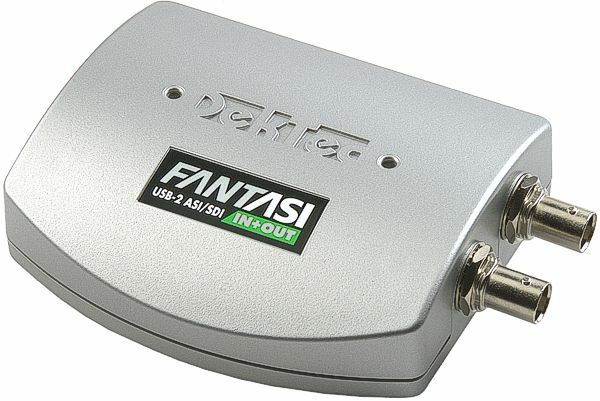 FantASI ASI/SD-SDI input+output for USB-2 with StreamXpert Lite and StreamXpress player software. 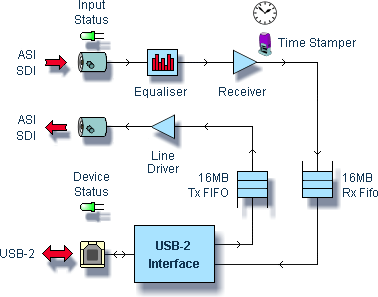 FantASI ASI/SD-SDI input+output for USB-2 with StreamXpert 2.1 stream analyzer and StreamXpress player. FantASI ASI/SD-SDI input+output for USB-2 with SdEye and StreamXpert 2.1 stream analyzer and StreamXpress player. FantASI ASI/SD-SDI input+output for USB-2 with VF-REC stream recorder, SdEye and StreamXpert 2.1 stream analyzer and StreamXpress player. A portable HD-SDI input if you need HD-SDI without ASI input or output. The DTU-351 requires a USB-3 port. PCI-Express equivalent of the DTU-245. The DTA-2145 is a low-profile PCIe card with ASI/SD-SDI input- and output port. In addition to the DTU-245, the DTA-2145 has a watchdog-controlled input-to-output relais for creating redundant solutions. The industry's workhorse for interfacing multiple SDI (up to 3G) signals to a PC. Supports ASI input or output on each port, too. The DTA-2174 features four ports, a genlock port and has a low-profile PCI-Express form factor.